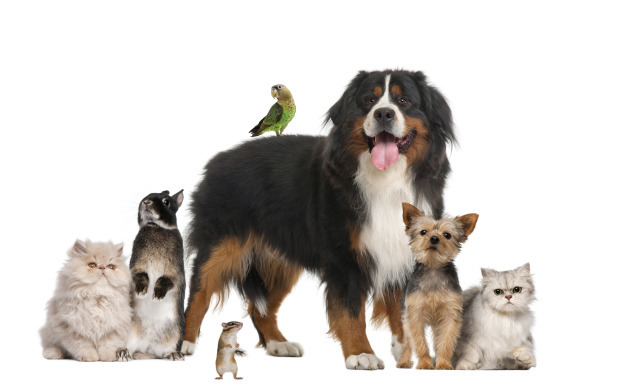 Many households have multiple pets – dogs, cats and other furry or feathered family members. 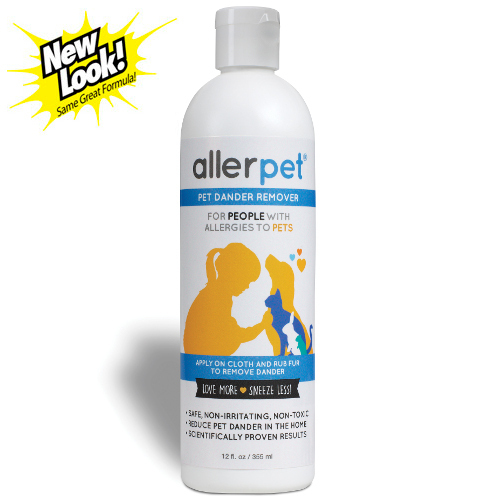 Allerpet Pet Dander Remover is made for those families with two or more different pets. It can be used on all of them with excellent results and no harm even to mice or other small pets. So if your home has more than one pet, and someone has an allergy to any one of them, Allerpet Pet Dander Remover is a liquid damp-wipe product and the right choice to help remove pet allergens so the people and the pets in your home can live comfortably together. Looking for 16-oz. Allerpet Single Solution? We will still provide it to our retailers as long as supplies last. However, Allerpet Pet Dander Remover is replacing Single Solution in our lineup of products made to reduce animal allergens in your home. Allerpet does not expire. Modern technology has dramatically improved hair care over the years, and for your pet, this is reflected in the moisturizing, conditioning and luster of the coat as well as in the reduction of allergens. Allerpet Pet Dander Remover leaves no oily residue to attract more allergens, including the out-of-door pollens. It dramatically reduces dander on the coat. 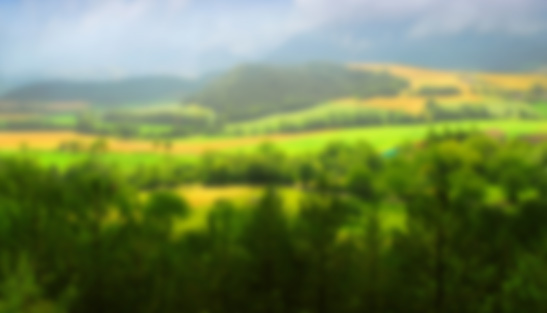 There has been no sacrifice of Allerpet’s original formula to reduce and minimize pet-related allergens. In the case of cats, the pet that is responsible for almost 2/3 of all pet-related allergies, Allerpet Pet Dander Remover is a liquid damp-wipe product and capable of maintaining a significantly low level of the cat allergen, Fel d1, on your cat and in your home. In short, its use substantially reduces pet-related allergens on all furry pets… cats, dogs, birds, rabbits, ferrets, gerbils, guinea pigs, hamsters, mice, and rats. It is the perfect choice for multi-pet families. It can be used on all animals with fur or feathers. It’s the ultimate choice for families with multiple pets of different species. It leaves the skin and coat in a remarkable condition: supple, moisturized, and with a beautiful sheen. Allerpet Pet Dander Remover is recommended by veterinarians and allergists nationwide. Best results are obtained on hair that is not tangled. 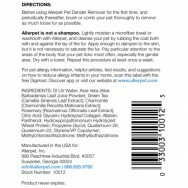 For allergy sufferers, brushing or combing once a week before you apply Allerpet is extremely important, because it removes dander, foreign matter, dirt and loose, dead hairs that are contaminated with dried salivary, sebaceous and urinary secretions and keeps them from shedding into the air and spreading throughout your home. Lightly wet a washcloth or small sponge with Allerpet Pet Dander Remover. It should be just damp enough, that when you gently squeeze it, little or no liquid escapes. This is far more effective than excessive wetting. More is not better! Thoroughly wipe over the pet, both with and against the lay of hair. The hair should be just dampened to the skin. Pay particular attention to the area surrounding the genitalia and the base of the tail (especially in cats). Pay attention to all of the areas that your pet licks most often. And do not miss the urine residue that usually remains on the hind legs of most dogs, especially males. If the pet is small enough, this procedure is easy to accomplish while it sits on a towel on your lap. No rinsing is necessary. Dry the hair thoroughly with a towel or hair dryer set on “Warm”. Generally, a once-a-week application should be sufficient for most animals, but Allerpet may be used 2 or 3 times a week without any fear of adverse reactions to either the pet or the allergic person. In instances where you have a rabbit that does an excessive amount of licking/self-cleaning, Allerpet is safe to use 3 or even 4 times a week. Allerpet Pet Dander Remover is especially effective for rabbits because of the allergen similarity to that of cats. Most dogs and cats love the grooming and care, or maybe it’s just the special attention that they have with you, but in any case, it is a necessity that your animal be groomed on a regular basis. Brush or comb the hair regularly to keep it free of tangles and mats which collect allergens… and dirt. Obviously, the small animals and rodents just need a weekly wiping down. Have you wondered why the ingredients of all three original Allerpet products are the same? The products are basically the same. It is the variation in the concentration in each product that makes each unique. 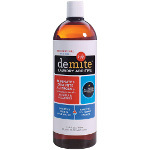 PLEASE NOTE: Clicking These Links Will Take You To Our DeMite Website In A New Tab/Window. 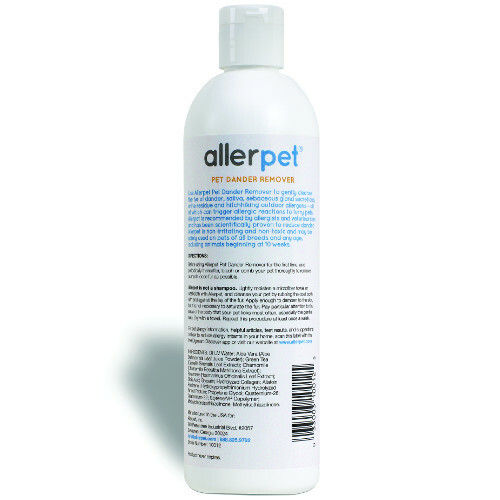 Although Allerpet Cat Dander Remover is specifically formulated to help remove cat allergens and soften the pet’s skin, it should really be called Allerpet For Cat Owners. Why? - because it helps people who are allergic to cats live with them more comfortably. 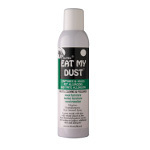 Because cats produce more dander than any other animal, Allerpet Cat Dander Remover is a liquid damp-wipe product that works hard to bind and remove cat allergens so there will be less of them in your home. It is not necessary to eliminate all cat allergens (something that is nearly impossible to do) to feel better. Even a 50% reduction should help. If you want to reduce allergens even more, we recommend applying Allerpet Cat Dander Remover every 3-4 days, rather than weekly. Like any pet owner, dog owners love their dogs, and Allerpet Dog Dander Remover allows dogs and their owners to live comfortably with each other regardless of someone’s allergy to dogs. In fact, dog owners have been successfully applying Allerpet to their dogs to reduce allergens since 1988. 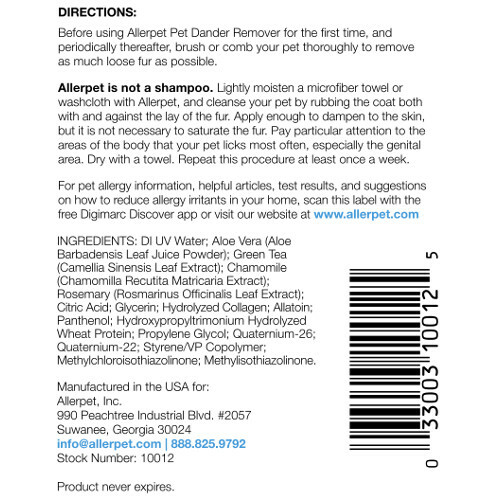 Veterinarians and Allergists recommend using Allerpet Dog Dander Remover because it’s a liquid damp-wipe product and an easy way for owners to remove allergens without the trouble of bathing with shampoo weekly to remove dander. In fact, Allerpet Dog Dander Remover softens the dog’s skin unlike bathing with shampoo which can dry it out or irritate it. Use weekly or, for better results, apply every 3-4 days.